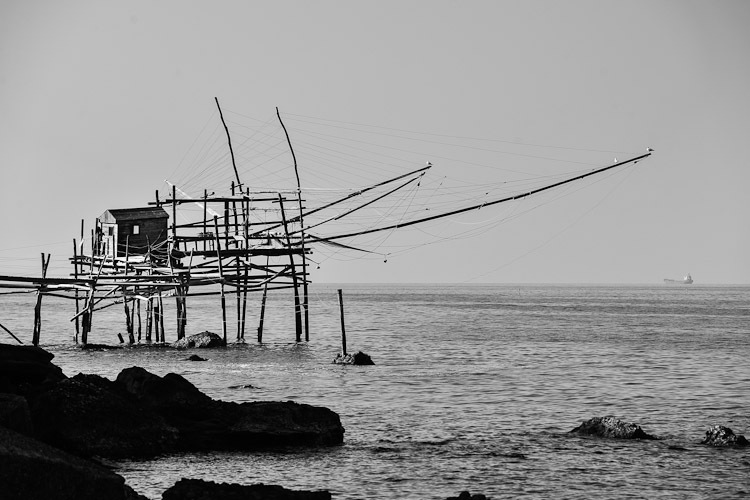 In the old days they were smartly build wooden fishing installations battling with the fierce sea along the coast of Abruzzo. 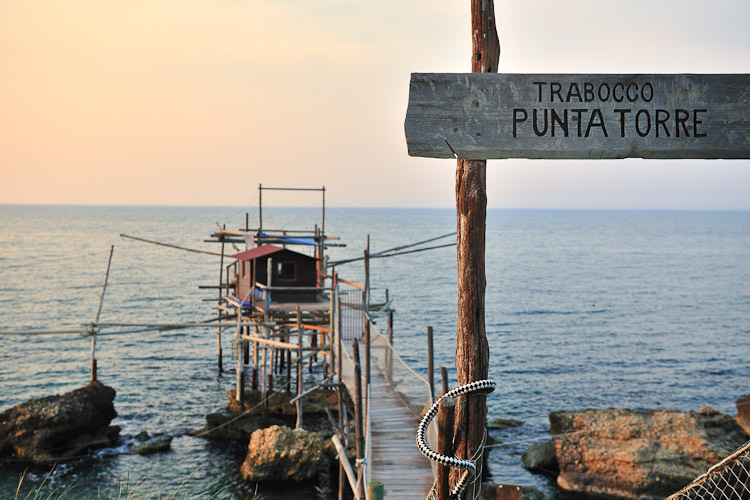 Nowadays these trabocchi are the most charming seafood restaurants in Italy. They look a little alien with the silhouette of a giant crab walking on its thin, fragile stilts along the shores of the Adriatic coast. Most tourists in a hurry will barely notice them. Others travel from far away just to come and eat here. 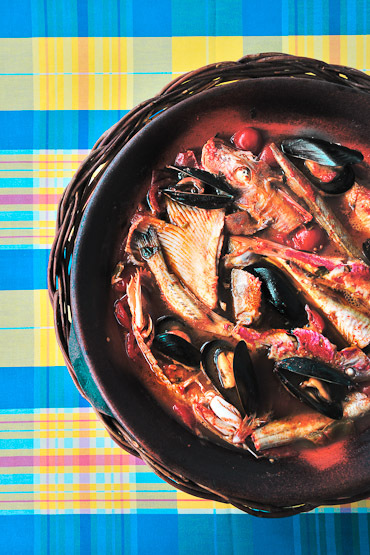 Tell any Italian that you plan to have some frutti di mare on a trabocco, and you are guaranteed to get many wide smiles. 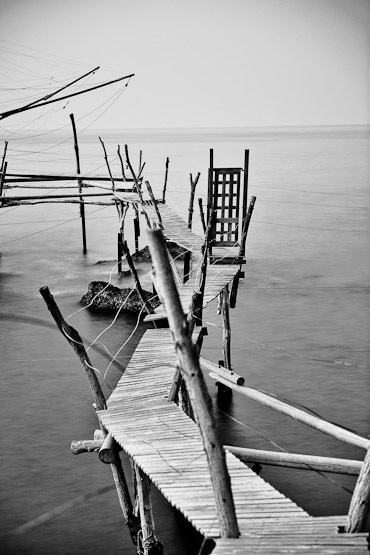 In the 17th century these wooden platforms were build instead of going out fishing with normal boats. 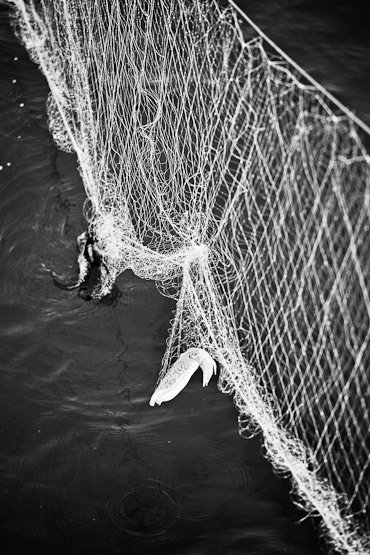 The sea can be rough here so why risk lives? These extremely solid structures are build by simple techniques like using weights and rope connections.They are firmly anchored in the rocky seabed below the water surface. 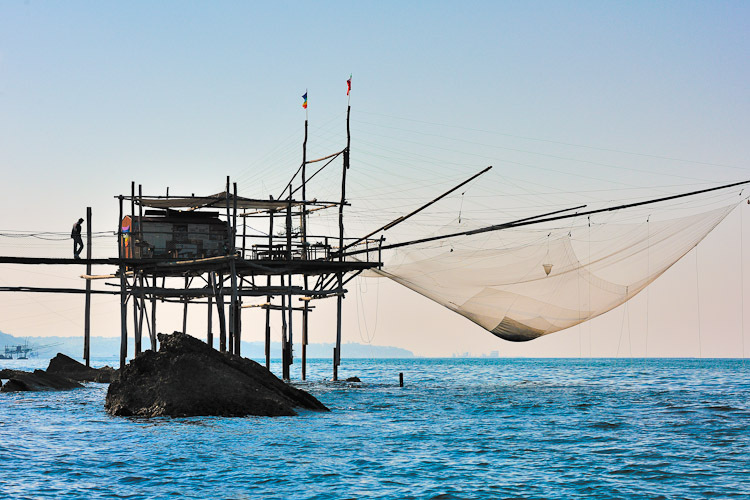 The Italian poet Gabriele D’Annunzio who was born along this coast, described the trabocchi as the giant spiders of the sea. They are man-made bridges between land and water. 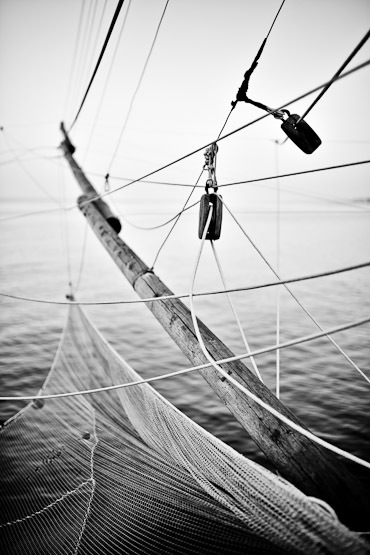 Yet over the last decades trabocchi were not used anymore and exchanged for larger fishing boats and commercial fishing. 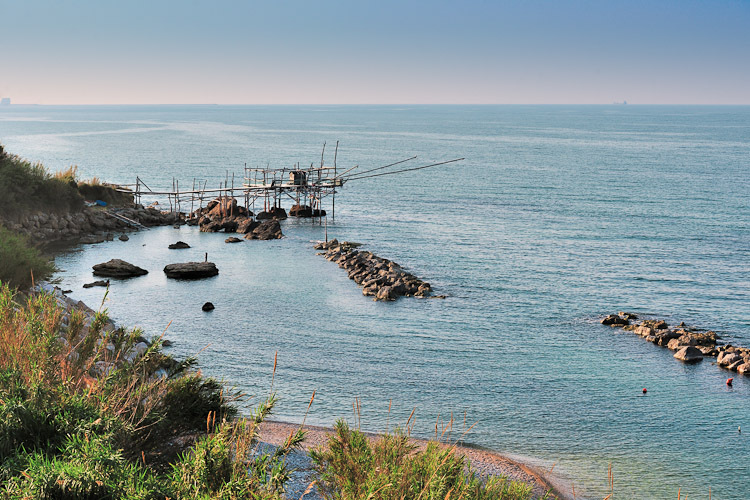 Until the Abruzzo region found it was time to honour the trabocchi and have them restored, renovated and maintained through special grants. Thanks to this initiative owners can now open these magical constructions to the public. Not as boring museums but as overly charming sea restaurants where al fresco dining, pieds dans l’eau, is taken to the next level. 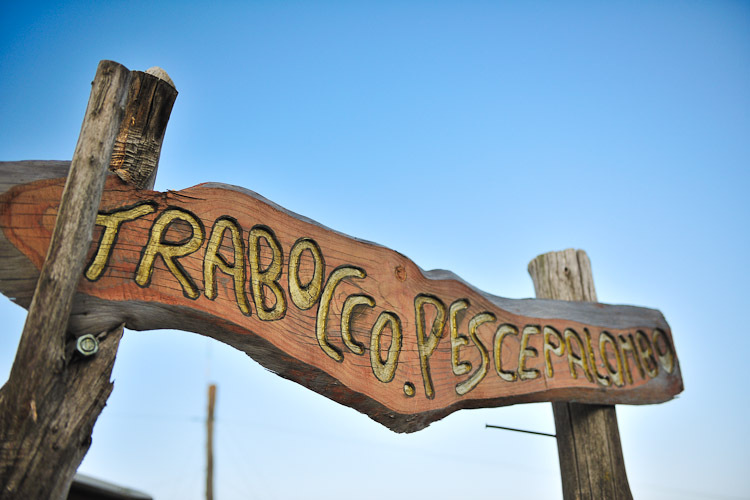 We visited two of the most famous trabocchi / seafood restaurants. Trabocco Punto Cavalluccio and Trabocco Pesce Palombo near the village of Rocca San Giovanni. 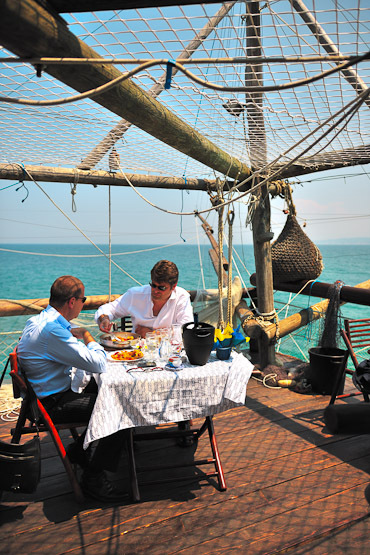 While Trabocco Punto Cavalluccio had the best al fresco seating, Trabocco Pesce Palombo clearly stands out for the beautiful and tasty food. 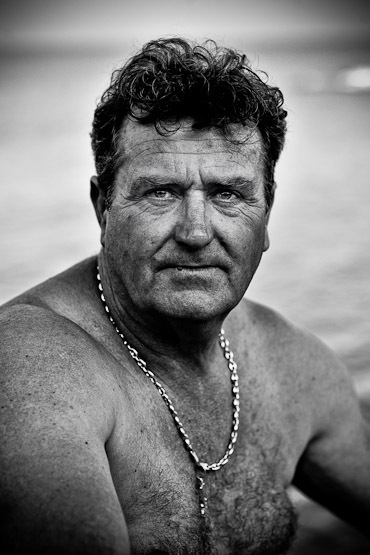 Bruno, the owner of Trabocco Pesce Palombo, and his family owned different trabocchi for more than a century. 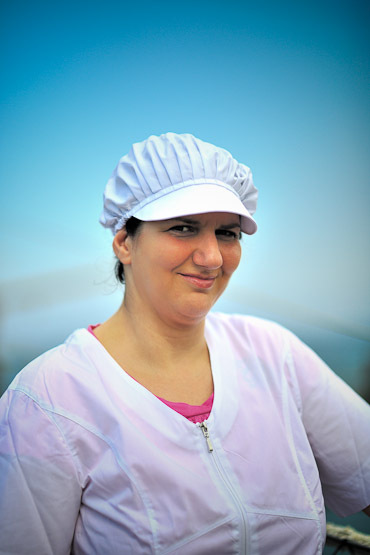 His wife Giluiana is mostly found with some other bella donnas in the kitchen. Reservations are required because full is full. 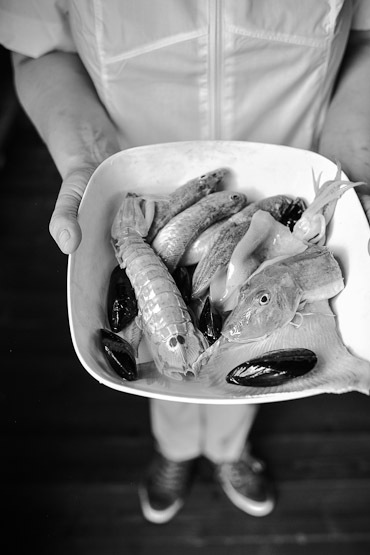 Almost all trabocco work with a fixed menu where wine, water and coffee are included. 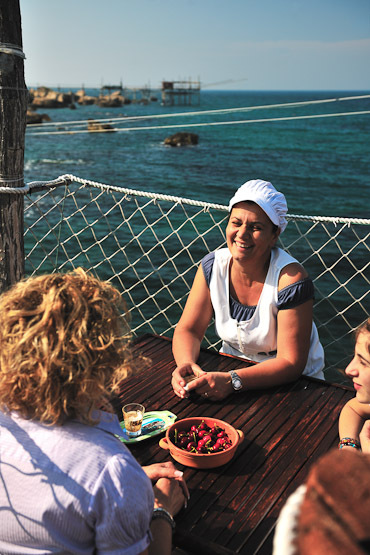 You pay around 50 euros for an overdose of delicacies from the sea with free-flow local wine. First a parade of anti pasti, calamari, grilled small fish and octopus. 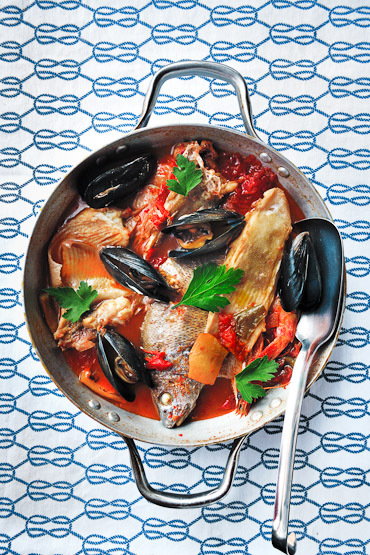 Then comes the pasta with fish or shellfish. 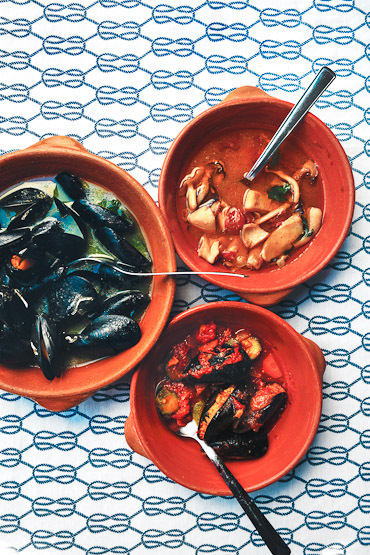 As a main you will be served a rich seafood soup that has to be eaten with lots of bread. 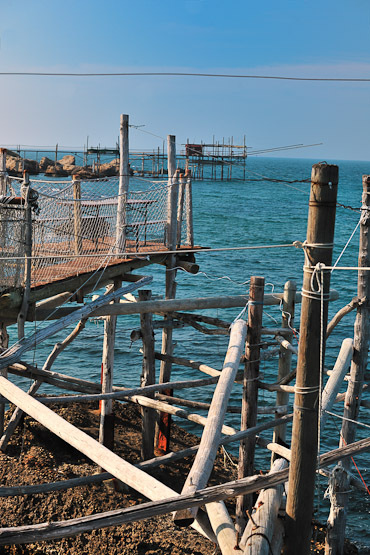 Eating on a trabocchi is a must-do for any seafood aficionado. After another bottle of delightful pecorino wine, you might start to feel even a bit philosophical. 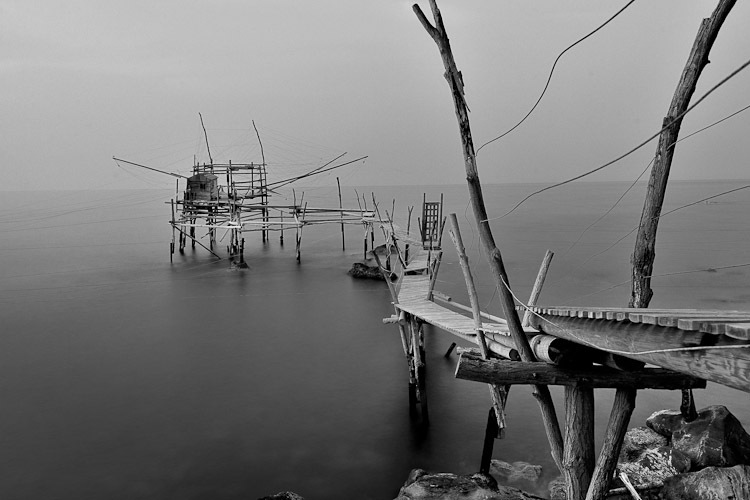 Trabocchi are extensions of the land into the sea. 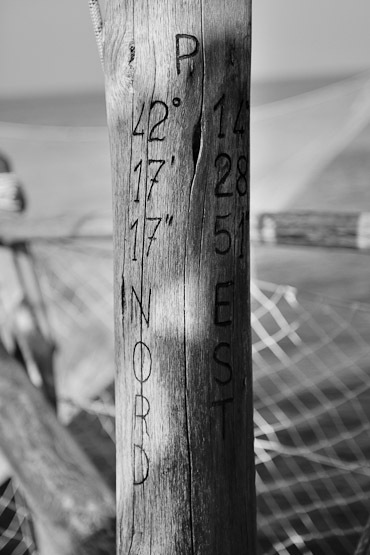 No unstable water where you feel the waves, but terra firma, deeply connected with the sea. Fly to Pescara, a half an hour drive from the Trabocchi coast or fly to Rome, which is 2 hours driving from the Adriatic Coast of Abruzzo. 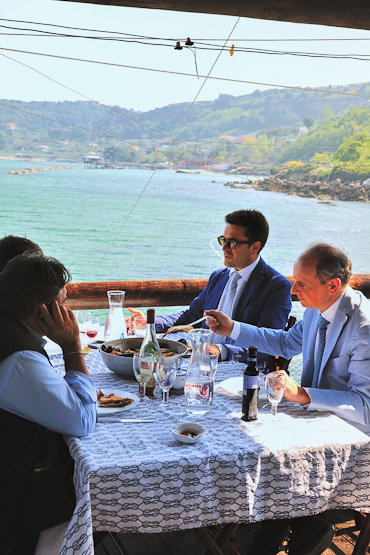 The trabocchi restaurants are only open during the summer months, the first restaurants open around late May and remain open until around the end of September. 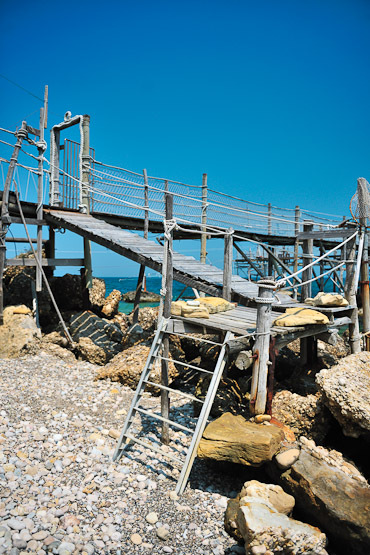 Rifugiomare is the perfect guesthouse on a stone’s throw from the trabocchi, in San Rocco Giovanni – Abruzzo. A double room with great breakfast (ask for the classetouriste version) from 90 euros per night.